High-quality foodstuff supporting the comprehensive development of the body. 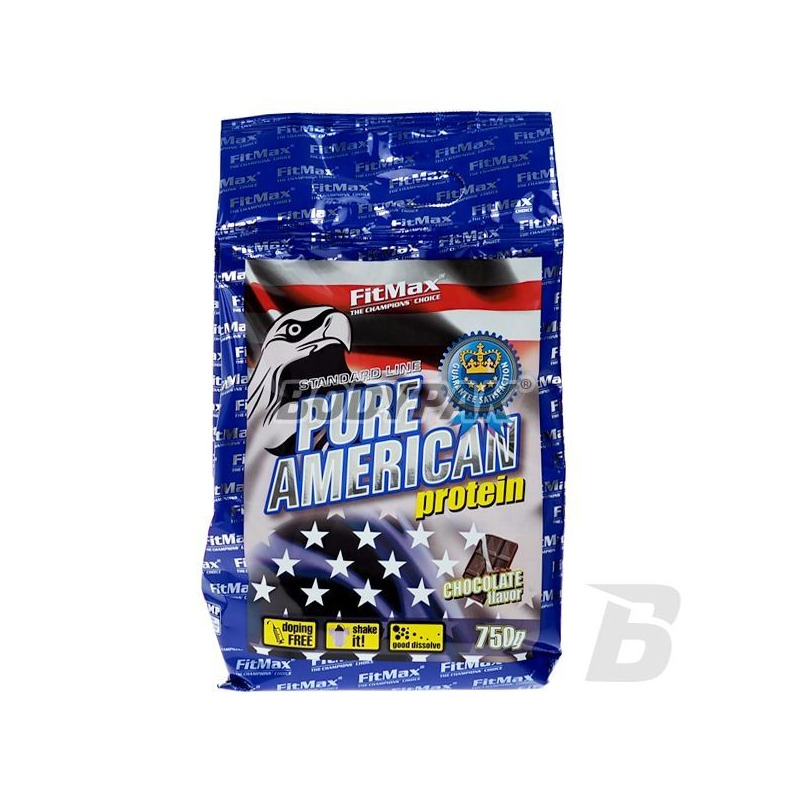 A combination of whey protein concentrate with a protein isolate, thereby providing the body with the best blend of digestible proteins. 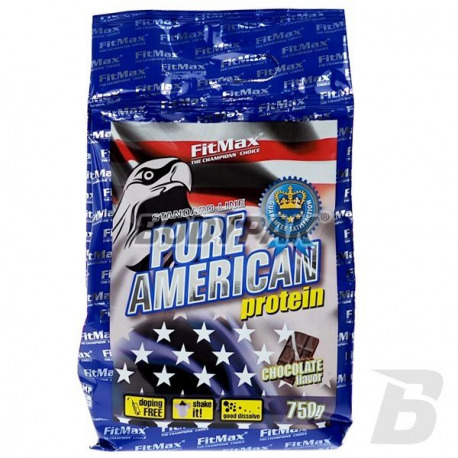 FitMax Pure American - is a foodstuff supporting the comprehensive development of the body. A combination of whey protein concentrate with a protein isolate, thereby providing the body with the best blend of digestible proteins. The entire reinforced the addition of taurine. This product makes it easy to build lean muscle mass during both cycles mass and reduction. It improves regeneration and supports the body's immune system. Ingredients: whey protein concentrate, soy protein isolate, maltodextrin, L-taurine, flavoring: chocolate; vanilla cream, acidity regulator: citric acid, sweetener (aspartame, acesulfame K), color: chocolate brown. Nawet spoko białaczko, dobra rozpuszczalność i niska cena polecam. Prawie 20% węglowodanów... co to za białko?! Kupiłem widząc taką cene, a jak zobaczyłem skład na opakowaniu to się dopiero zorientowałem, dlaczego tak tanio... ja chciałem białko, a nie gainera ! !